Description: A free customizable rehabilitation center floor plan template is provided to download and print. 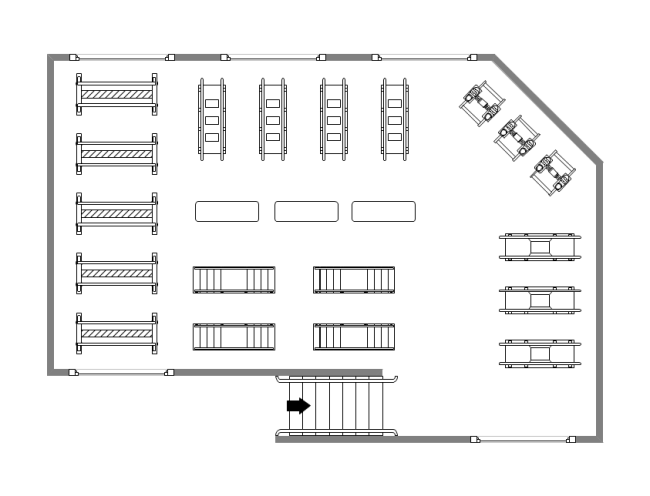 Quickly get a head-start when creating your own rehabilitation center floor plan. Many built-in rehabilitation equipment are available to use. Just use and arrange them to the best way you want.